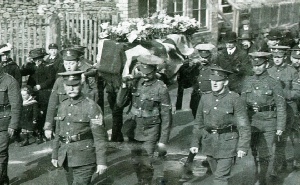 BRECON REMEMBERS THE MEN OF THE TOWN WHO FELL IN WORLD WAR ONE. On Tuesday 6th December at the Guildhall, Brecon - Brecon U3A launch their book “Brecon Remembers the men of the town who fell in World War One”. Brecon U3A have researched the brief lives and backgrounds of the men of the town who fell in World War One. The book with this associated website which will allow the stories to be expanded providing more information, as well as corrections, as required. Major Martin Everett introduces us to the Officers' Mess, the military parade ground and The Regimental Museum, all situated just a few minutes' walk from Brecon town centre. Brecon's World War I project wins lottery grant..
A book is being published in December 2016, with this associated website which will allow the stories to be expanded providing more information. 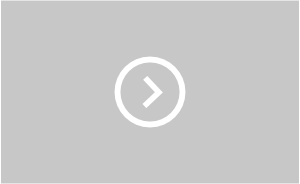 Brecon Remembers launch new website. 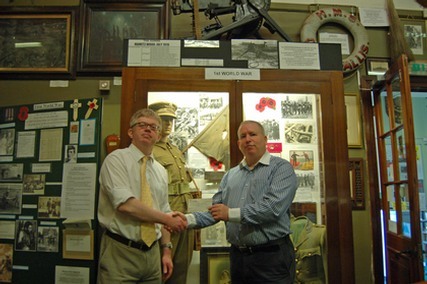 Alan Roberts of View Web Design presents a cheque to Richard Davies, Curator of the Regimental Museum of the Royal Welsh. 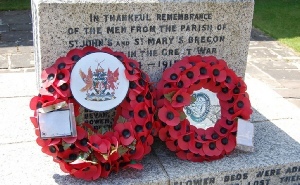 View Web Design, a Brecon based company run by Alan Roberts and his wife, was selected by “Brecon Remembers” to design and maintain the Website that is to compliment the book that is being produced this Summer on the lives and background to the Brecon men who fell in World War One. 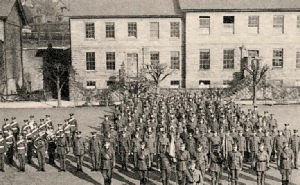 During conversations around the details of the project Alan became aware of the support and help provided by the Regimental Museum and has chosen to donate monies to the Museum in recognition of their support to this and other research projects , as well as their valuable presence in Brecon itself. View Web Design have already produced the outline website for the project, in advance of the book publication. The website will be populated with stories and data from the book and also be available for additional information that emerges after publication. Project Lead Steve Morris was present to witness the donation and discuss current issues with Alan and Richard. The group also discussed the anniversary of the Battle of Jutland and remembered Signaller Cyril Hardwick from Brecon, aged 18, who died aboard HMS Indefatigable 100 years ago today.